Launching “Salts & Water” Podcast Series: Stories from the Maine Coast! Exciting news! Experience Maritime Maine is introducing a new 6-part podcast series, by award-winning producer Rob Rosenthal that will take you on a very unique journey on the Maine coasts of Eastport, Stonington, Searsport, Rockland, Bath, and Portland. The audio stories to be released this summer paint remarkable character portraits of the “women lobstermen” of Stonington, the owners of today’s Windjammers, and the salty fish monger of Portland’s Maine Pier just to name a few. 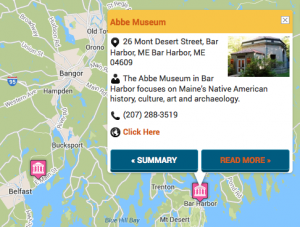 Salts and Water is a project of Experience Maritime Maine, funded in part by the Elmina B. Sewall Foundation and sponsored by Maine Boats, Homes and Harbors. We would like to invite you to visit experiencemaritimemaine.org to learn more about Maine’s rich maritime culture or to plan your coastal travels. Thank you to our funders and sponsors!